Could the new HP ZBook G2 start to out-perform Apple? Apple traditionally are always first with the latest CPUs, but maybe HP are catching up? Let’s start by looking at some basic features – we use the term “basic” lightly! 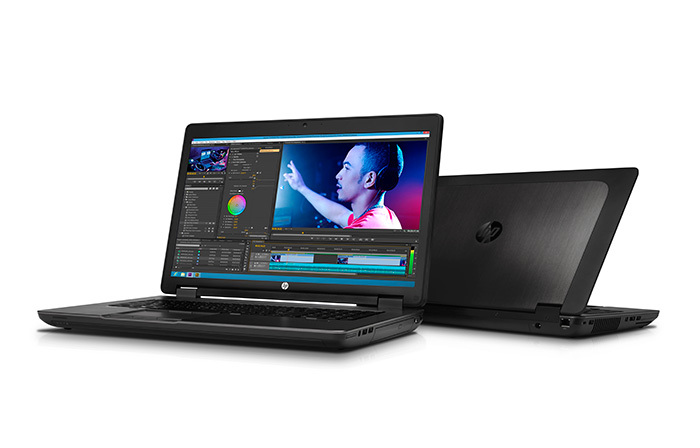 HP have released two new ZBook workstations, both of which come with Intel Core i7 quad-core processors and ISV-certified NVIDIA Quadro or AMD FirePro professional graphics. (These graphics cards are ‘certified’ for CAD use- the Geforce on the Mac is great for Gaming but not as fast for CAD. In terms of display size, you have two options. The ZBook 15 G2 has a 15” display with 3200 x 1800 pixels (3K). The 15” MacBook Pro Retina is just 2880 X 1800. If you want more then the ZBook 17 G2 comes with a 17.3” full HD screen. Don’t be put off by the latter – whilst Apple chose to discontinue their 17” MacBook a few weeks back, this one is slightly bulky but is actually a lot lighter than you’d think. CPU options include an Intel Core i7-4940MX (max speed on the revised MacBook Pro is the slower, but power efficient i7-4980HQ) up to 32GB RAM (max 16Gb on a MacBook) , 1TB SATA Hybrid HDD, 1TB SSD, a GPS tracking agent for added security and the usual bonuses such as Wireless, WiFi and Bluetooth. Already, you can see how these Notebooks offer more than what Apple has to offer with its MacBook Pro. In reality though it comes down to costs. 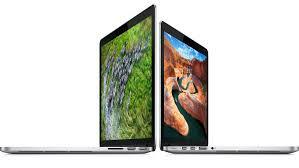 A 15″ MacBook Pro Retina which features an Intel i7-4870HQ CPU @ 2.5Ghz is £17.30 per week plus VAT to lease. The ZBook 15 with i-4710MQ @ 2.2.5GHz is a cheaper £15.40 to lease. The CPU are identical except the that on the ZBook is potentially faster as it includes F16C instructions which apparently is the future. We’ve discussed what’s good about the new ZBooks, apart from price, but what’s really good about them? Firstly, described by many as “rugged notebooks for serious professionals”, these are more than just day-to-day business laptops. They are designed for intensive use within intensive industries such as media, entertainment, graphic design, CAD, manufacturing, finance, health care, energy and more. Secondly, the added features on these machines are great. We’ve mentioned loads above but they also come with Thunderbolt 2 ports as well as charging ports for mobile devices so you don’t have to worry about running out of battery when you’re on the move. Thirdly, HP have put a lot of thought into preventing their workstations from going wrong and into making them easy to deal with if they do! The ZBooks come equipped with a tool-less access panel as well as removable hard drives.A Mac is sealed and has no user accessable or changeable components. What’s more the former can be “locked” easily by the main user to prevent others from tampering with the machine. Finally, the ZBooks come with the added advantage of durability. At the press release, HP demonstrated that they can survive being dropped and stood on – peace of mind for a user rushing around for work! MacBook Pro’s are considered fast but HP have an alternative. So, what might the new ZBooks mean for Apple? HP are putting some serious pressure on Apple to bring out a new MacBook that out-performs the ZBook. But, considering the former was only updated in July it doesn’t look like Apple is going to do this any time soon – maybe not this year! It wouldn’t be surprising if HP have done this on purpose to give their product a head start! Whilst Apple is perhaps still winning on the appearance front, then again it always does! The only real critique of the ZBook from online reviews is that it doesn’t have a DreamColor display. Yet, on all other aspects the ZBooks are looking good and in all likelihood a professional will opt for performance over appearance anyway. If you would like some more information on leasing the new HP ZBooks or an Apple, then email sales@hardsoft.co.uk or give one of our friendly team a call on 0207 111 1643. We’re Authorised to offer both manufacturers products and can offer an unbiased opinion on which is best for you.